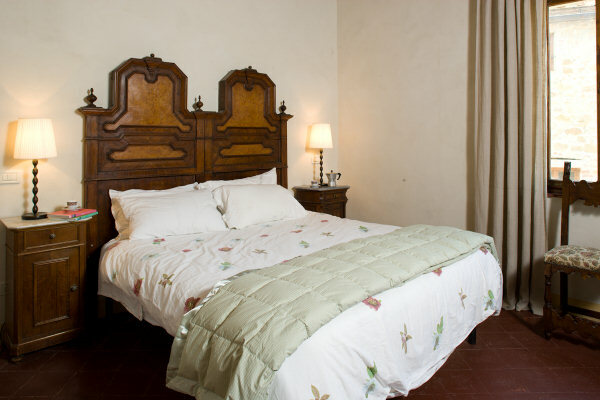 This room, west of the Bibliotecca, has an antique matrimoniale headboard, matching side tables and mirror. All found in different antique shops from Rome to Arezzo. 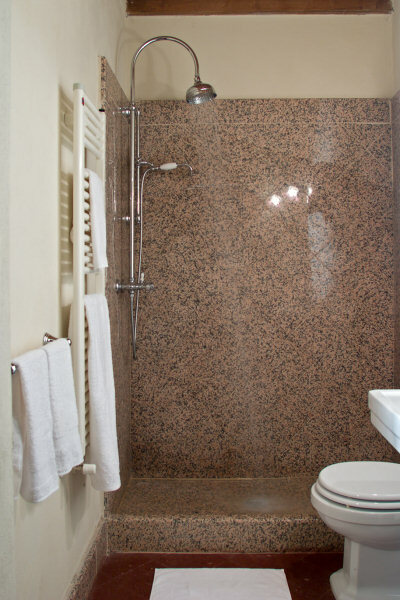 The 3/4 bath has tiles of custom-made Sardinian granite.